Feels rather appropriate with Halloween around the corner, eh? Created by artists Michael Clegg and Martin Guttmann in 2004, it's part memorial, part library for the Jewish cemetery that was destroyed during the Third Reich. People are free to peruse, take books, leave books, and remember those who have passed on. 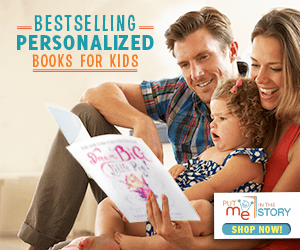 In rural Columbia, there are few ways to get books to kids. Lucky for them, Luis Soriano is up for the challenge (CNN article). 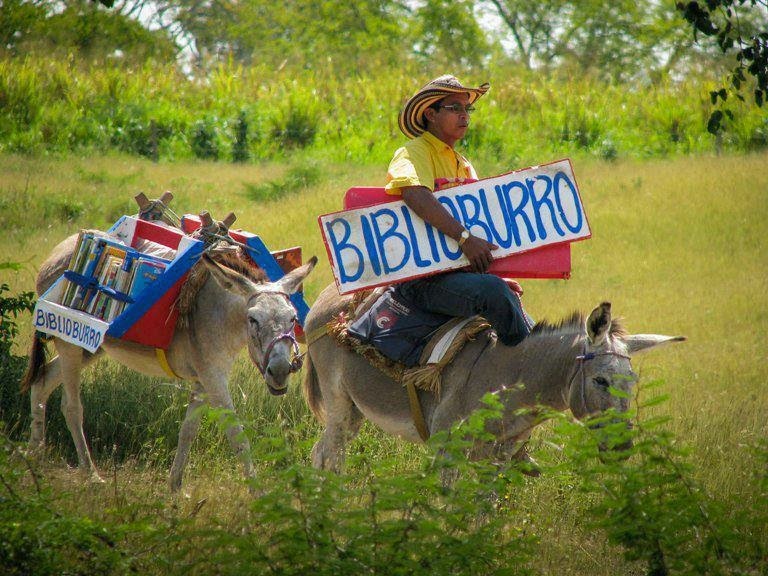 He rides his donkeys for hours so that children have a chance to read. That, my friend, is serious dedication. He's even the subject of some picture books, like Waiting for the Biblioburro by Monica Brown. 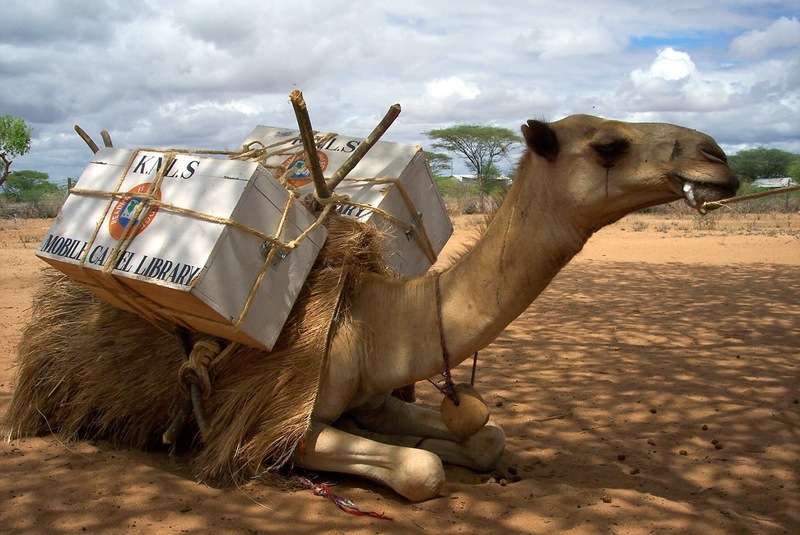 Columbia uses donkeys, and Kenya uses camels. It's the same idea too: trying to promote literacy to children in rural areas and villages. In this case, though, the Kenya National Library Service is behind the idea, starting it back in 1985. 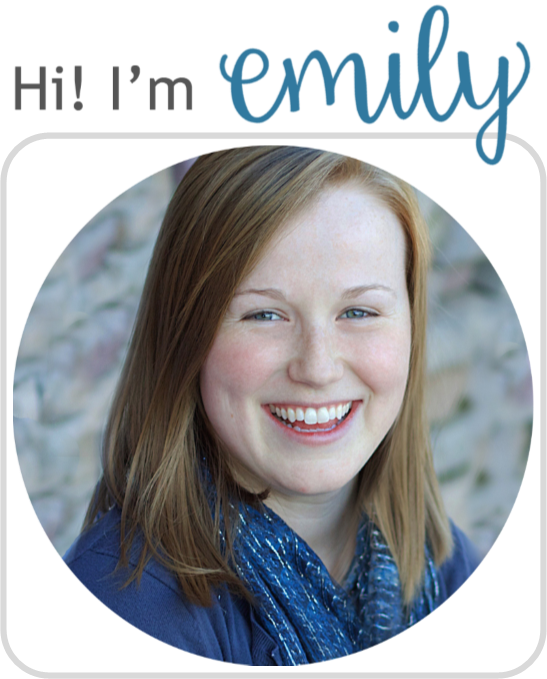 The demand is huge, and they have 3,500 registered members of the camel library. Which is actually better than some static libraries. 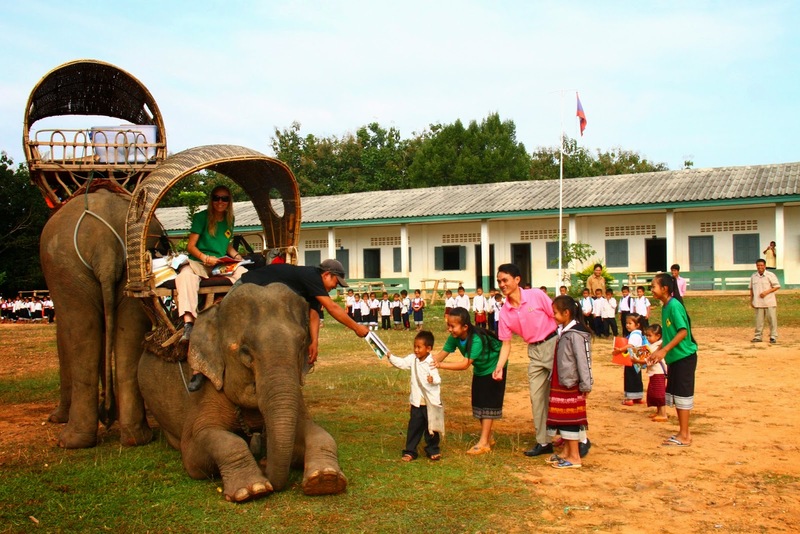 To reach rural communities is Laos, Room To Read used elephants. Are you detecting a pattern yet? In this case, it served the dual purpose of promoting literacy and increasing awareness about protecting the endangered elephants. The literary solution to the we-don't-need-phone-booths-anymore-but-who-would-want-to-get-rid-of-such-iconic-boxes problem! 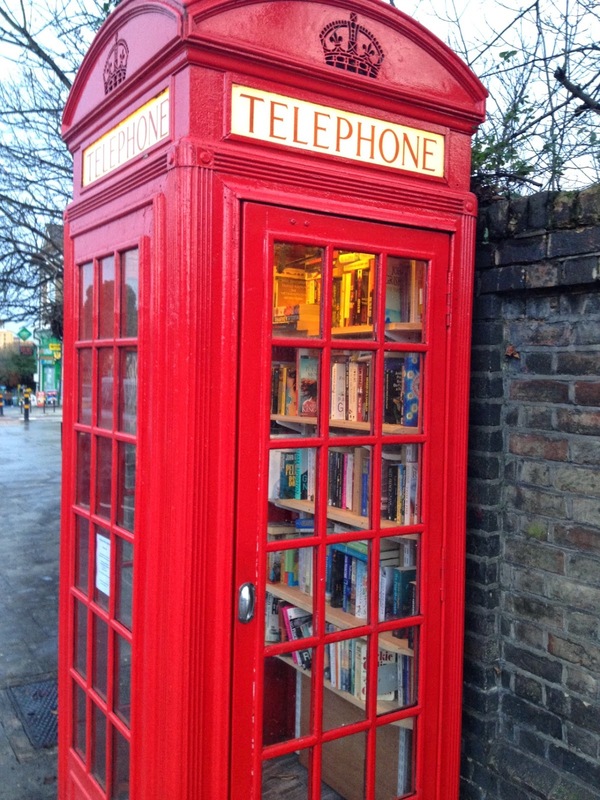 They've been popping up all over the UK since 2009, and can satiate a community's book cravings 24 hours a day, 365 days a year. Also known as "The Weapon of Mass Instruction." 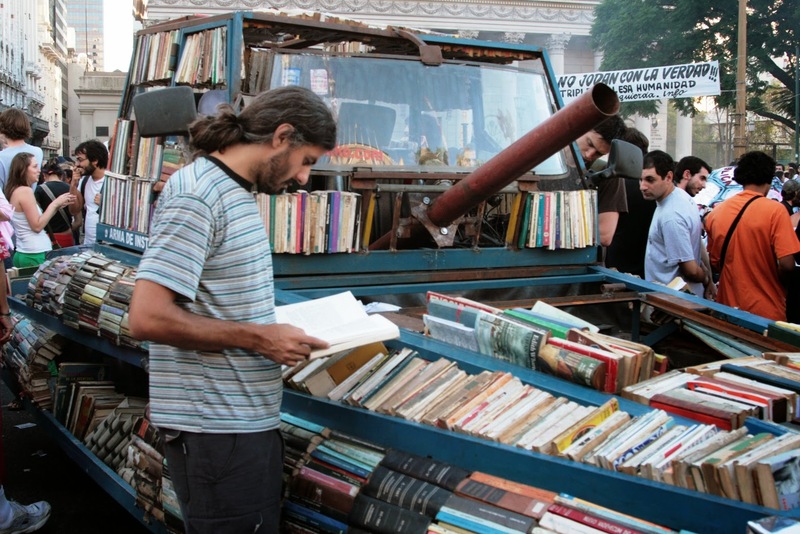 Raul Lemesoff built this library by welding it to a frame of an '79 Ford Falcon (popular military vehicle back then) and now drives it all over Buenos Aires (and even surrounding rural areas) so that people can access free literature. Supplied by private book donations, motorists even peruse books while he's stopped at a red light. So maybe this isn't so unexpected, but I thought I'd still share it. For those communities best reached by boat in Norway: behold, the Epos. 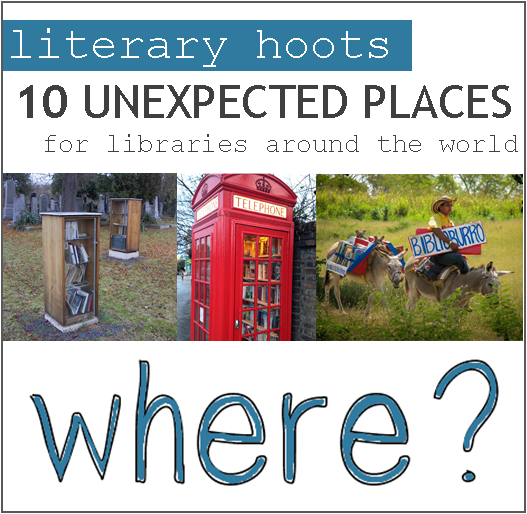 It holds 6,000 books and regularly hosts library programs or author meets. It's been floating along since the '50s and is still popular. 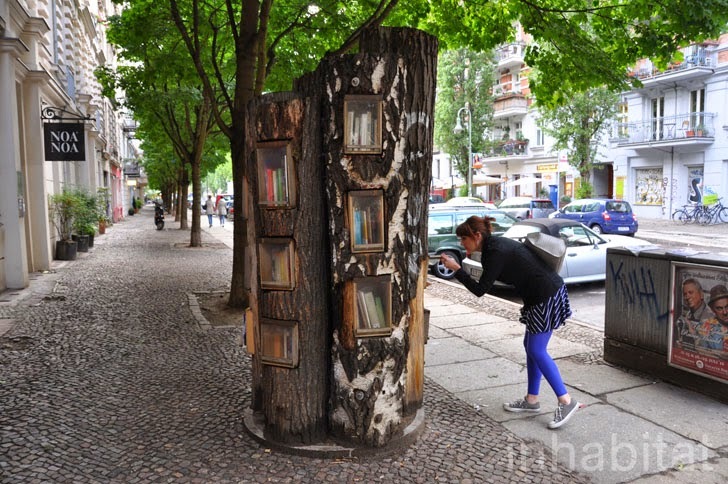 Using fallen trees to make a book forest, this neighborhood in Berlin can take and leave books as they please--all while remembering where the materials for the books came from. 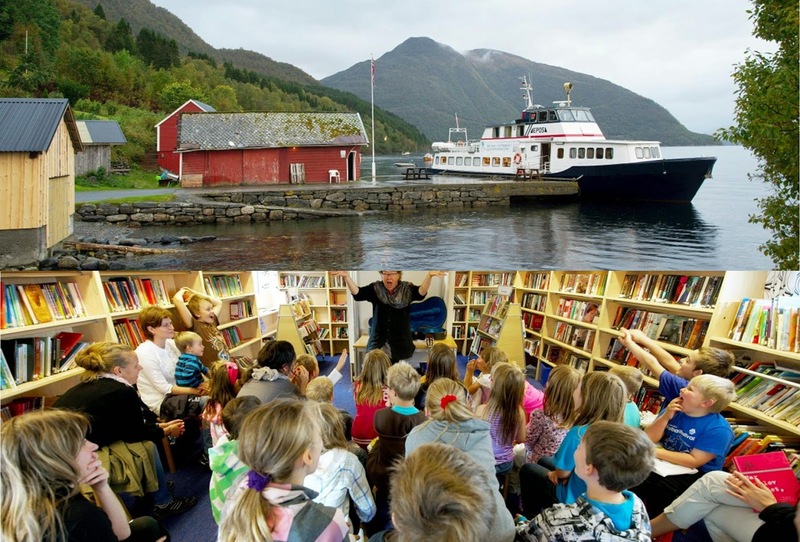 See if you can wrap your mind around this: "A forest has been planted in Norway, which will supply paper for a special anthology of books to be printed in one hundred years time. 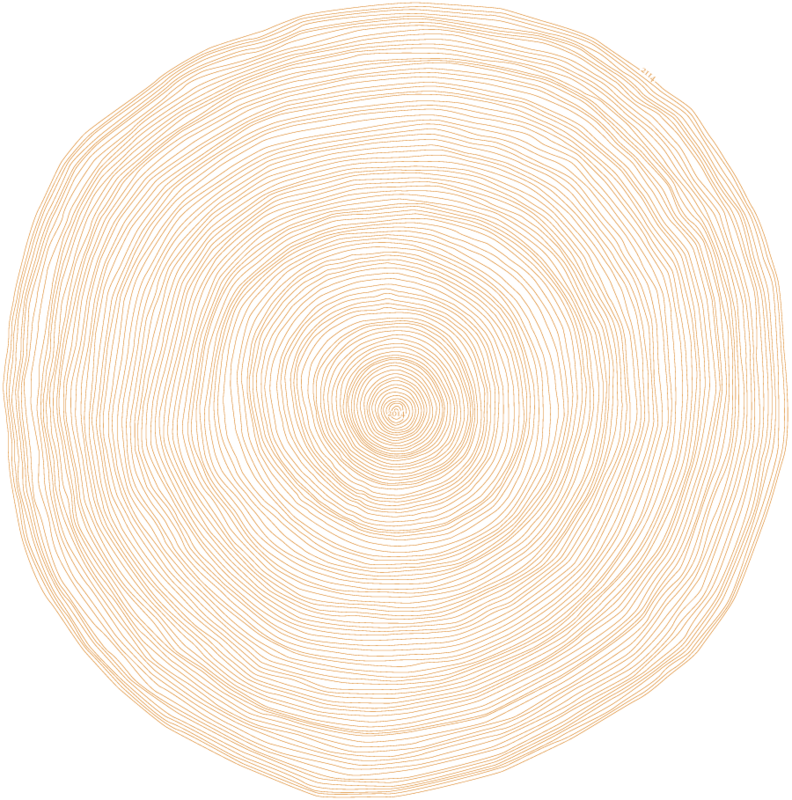 Between now and then, one writer every year will contribute a text, with the writings held in trust, unpublished, until 2114" (from here). Yes, a forest in Norway is a future library. Margaret Atwood has already agreed to do the first book. See videos and everything on their website. Don't you wish you could see it in 100 years? Yep, it's pretty much guaranteed that libraries will be around in some form or another well into the future. I'm looking forward to seeing what they come up with next.